Dennis Ziemba is a Member of Eckert Seamans and serves as Chair of the firm’s Product Liability practice group. He is a trial lawyer with a diverse civil practice, focusing on product liability litigation and other tort actions. He also represents product manufacturers in breach of warranty actions, and provides advice to clients in employment matters. 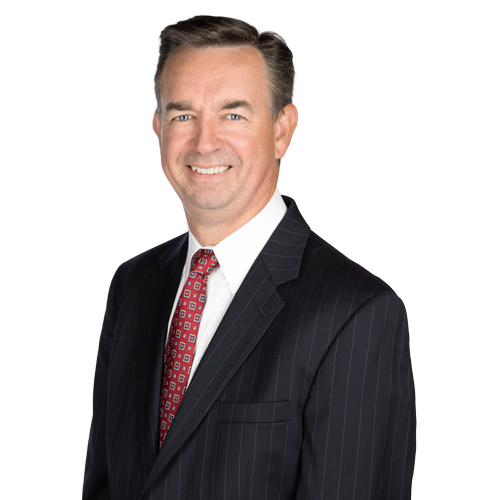 Throughout his career, Dennis has represented multiple manufacturers of automobiles, automotive component parts, consumer products, industrial equipment, and motorcycles in civil litigation actions. He serves as national counsel for a manufacturer of concrete mixers and refuse vehicles, and regional counsel for a national motorcycle manufacturer. In addition, he has served as national coordinating counsel for a national plumbing component manufacturer. Dennis has extensive experience in successfully handling mediations, arbitrations, and jury trials. He regularly appears in state and federal courts throughout Pennsylvania, New Jersey, and New York as well as other courts across the country. He has handled cases in the appellate courts of Pennsylvania, New Jersey, and Delaware, as well as the Sixth Circuit Court of Appeals. Dennis has also assisted clients in multistate and complex coordinated proceedings and class actions in federal and state courts. His background makes him well-qualified to evaluate and manage cases in a manner that is both cost-effective and results-oriented for his clients. 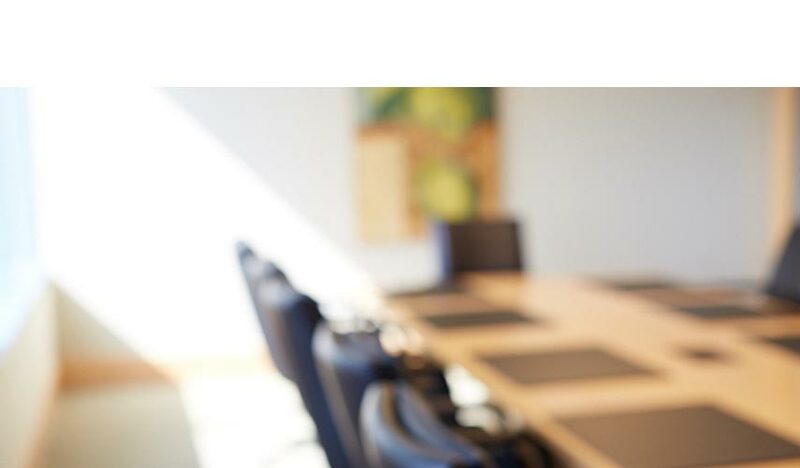 Dennis frequently lectures and provides training to clients, their employees, and other counsel, providing them with tools to navigate through litigation and pre-litigation matters. In 2017, Dennis secured a dismissal of all claims against a national manufacturer of solvents, removers, fuels and cleaning products. Plaintiff alleged he developed cancer as a result of working with the client’s products. Because the plaintiff’s alleged exposure occurred outside of Pennsylvania, the Eckert Seamans team moved to dismiss plaintiff’s claims for a lack of personal jurisdiction. After detailed discovery and a hearing before the trial court, the court agreed that Dennis’ client was not subject to personal jurisdiction in Pennsylvania and dismissed plaintiff’s Complaint. In 2014, Dennis secured a defense verdict at trial for a national motorcycle manufacturer. Plaintiff alleged defects in the motorcycle caused excessive oil leaks which impacted the motorcycle’s operation. Despite multiple dealer repair attempts, plaintiff claimed these conditions continued to plague the motorcycle. The jury found in favor of Dennis’ client at the conclusion of the case. In 2010, Dennis obtained a defense verdict at trial on behalf of an international motor vehicle manufacturer. Plaintiff, the vehicle owner, asserted the vehicle unintendedly accelerated on multiple occasions during her ownership. She alleged she was involved in multiple accidents as a result of this condition, and that the condition continued to arise despite multiple repair attempts by authorized dealerships. The jury found at the conclusion of the case that the vehicle was not defective. In 2008, Dennis successfully defended an international automobile manufacturer at trial in a matter involving a motor vehicle operator rendered a quadriplegic in an accident. Plaintiff alleged the airbag in his vehicle improperly deployed in the accident, causing him to strike the interior of the vehicle and cause his injuries. While the jury awarded in excess of $20 million to plaintiff against the driver of another vehicle in the accident, it absolved Dennis’ client of liability. The verdict was affirmed on appeal. In 2013, Dennis successfully argued an appeal before the Pennsylvania Superior Court, Pennsylvania’s intermediate appellate court, on behalf of multiple motor vehicle manufacturers concerning the ability of a consumer to recover attorney’s fees in matters resolved through an Independent Dispute Settlement Procedure. The panel ruled in favor of the manufacturers, affirming the trial court’s decision granting summary judgment to the manufacturers on the issue. “Products Liability Practitioners Anxiously Await Tincher Ruling”	, The Legal Intelligencer, November 2014. “The Future of Strict Liability Law in Pennsylvania: Is Change Foreseeable?”	, American Bar Association’s Mass Torts Litigation Journal, Spring 2011, Vol. 9, No. 3 and the American Bar Association’s Products Liability Newsletter, Summer 2011, Vol. 22, No. 2., May 2011. “Pennsylvania’s Statutory Employer Defense: A Primer”	, The Legal Intelligencer, August 2010. “Personal Jurisdiction and Foreign Defendants: Issues to Consider,” co-authored, Pennsylvania Bar Association Quarterly, October 2007. “Eckert Seamans announces practice leadership changes”	, October 2016. “A Design Process for Autonomous Vehicle Decision-making Frameworks,” panelist, Product Liability Advisory Council (PLAC) Fall Conference, November 2018. “Autonomous Vehicles: Legal Issues to Consider,” co-presenter, Eckert Seamans’ Continuing Legal Education Seminar, August 2018. “Personal Jurisdiction Challenges,” American Conference Institute 10th Annual Summit on Defending & Managing Automotive Product Liability Litigation (Chicago), June 2017. “The Virtual Law Firm: Why Playing Nice in the Sandbox is Important to the Future of Your Practice,” Defense Research Institute Product Liability Conference (Las Vegas), February 2017. “Tincher and the Reformation of Products Liability Law in Pennsylvania,” co-presenter, Eckert Seamans’ Continuing Legal Education Seminar, August 2016. “Evidence Preservation/Spoliation, Controlling Costs Associated with Discovery and E-Discovery, and Avoiding Sanctions for Discovery Abuse,” American Conference Institute Automotive Product Liability Litigation Conference (Chicago), June 2016. “Virtual Testing: The Application of LS-Dyna and Madymo Computer Modeling in Automotive Products Liability Cases,” American Bar Association 2016 Emerging Issues in Motor Vehicle Product Liability Litigation Conference (Phoenix), April 2016. “Lights, Camera, Evidence!” Philadelphia Bar Association (Philadelphia), April 2013 and July 2015. “Expert Strategy Issues in Automotive Litigation,” American Conference Institute Automotive Product Liability Litigation Conference (Chicago), June 2014. “’Green’ Vehicles: Emerging Liability Issues,” Pennsylvania Bar Association (Philadelphia), April 2012. “The Re-Shaped Landscape on the Preemption Defense, Personal Jurisdiction, and the Stream of Commerce Theory for Manufacturers,” American Conference Institute Automotive Product Liability Litigation Conference (Chicago), June 2012. “Venue, Venue, Venue: The Best and Worst Jurisdictions for the Defense and Key State-by-State Nuances,” American Conference Institute Automotive Product Liability Litigation Conference (Chicago), June 2011. “ADR and Dealerships: The First Line of Defense,” Automotive Forum: 360° Key Constituency’s Perspectives on the Automotive Industry, October 2005.